Doing SEO? Don't Forget the Trust Factor! Home > Blog > Blog > Doing SEO? Don’t Forget the Trust Factor! Doing SEO? Don’t Forget the Trust Factor! Although search engines robots are really smart but still they are not humans and that they cannot understand the content on your website like a human would do. There are certain guidelines that they follow in order to give users the best possible results for the respective query. Search engine optimization is something that makes this task easier for the search engine robots by helping them figure out what each page is about, and how it may be useful for users. In simple words, SEO actually is responsible for a better user experience if done perfectly. Many people mistake SEO by the tactic merely meant to enhance the website’s visibility in the search engine, which is although not completely incorrect but an ideal SEO includes a trust factor with everything that accounts for a better visibility of your website. No matter how well you have optimized your website for search engines, it will not be prized with a good position in search engine results pages if it lacks the trust factors. Trust Factor is actually a combination of so many factors that search engines use to weigh up how trustful your website is. Some of these factors are the content on your site, its usefulness and so on. 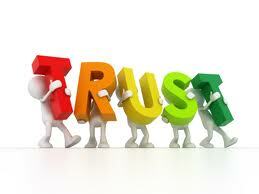 So while you optimize your website for search engines make sure you are not missing the trust factor. What impacts the trust factor? 2) The information that you provide in your contact page should not differ from the one that is registered in who is record. 3) The length and quality of articles on your website also determines the trust factor. Search engines consider those sites more trustworthy that have longer articles, unique content, and are regularly updated. 4) Websites with external links to trusted sources are also responsible for a good trust factor. As far as finding a trusted website is concerned, all those sites that rank well on search engines are usually trusted sources such as Wikipedia. 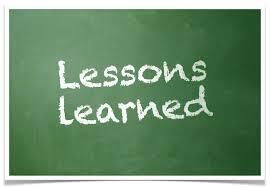 5) Good and relevant videos on your site make up for a good trust factor. It is a fact that Google’s algorithm, which is a software it uses to rank your web pages, increases the importance of a page if that page attracts links from the other pages. Google uses links to assess the authority of web pages. More the number of inbound links better will be your ranking in search engine results pages, which will finally lead to more and seasoned traffic coming to your site and in the end getting sales for your business. However, at the same time, you need to be a little bit careful with link building especially after the panda update by Google. 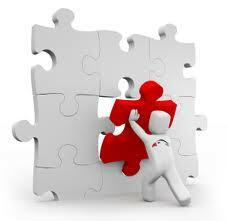 There are certain guidelines that must be followed while link building. You cannot simply go ahead with link spamming after Google revised it algorithm. There are so many techniques that you can effectively follow to get good results on building links such as Creating good and informative content, guest blogging, co-marketing and so on. There are so many other factors such as social media that decides the trust factor of your website. The better your site performs on social media, better will be the trust factor and better will be your ranking eventually. Besides, try to make your site more engaging as search engines really count it if a user stays for longer on your website. Another thing that impacts trust factor is the loading speed of your website. Visitors might get frustrated if it takes longer to load a page and they might leave your website as well. Hence, try improving the speed of your website and decreasing the page loading time to give user a better experience. By now you must have got the idea that an ideal SEO is no different from the SEO keeping trust factor in mind. You almost have to do the same things but just have to be a little systematic and a little prudent. So stay away from practicing the unlawful ways of getting a better ranking for your website as that will only bring troubles for your website as search engines panelizes your website for that in a number of ways. They may even exclude your website from their list which can be a big hit to your business. Aforesaid, is the list of things that impacts trust factor, you can keep them in mind and take actions accordingly to achieve a good trust factor for your website.